Over the years, optical fiber is susceptible to stress. Due to its high sensitivity, most especially if bent, light in the outer part of the core is no longer traveling in the core of the fiber, which causes fiber loss. From the core into the cladding, there is a presence of high fiber loss in the stressed section of the fiber. The stressed section of the fiber is visible if laser light is put into it. 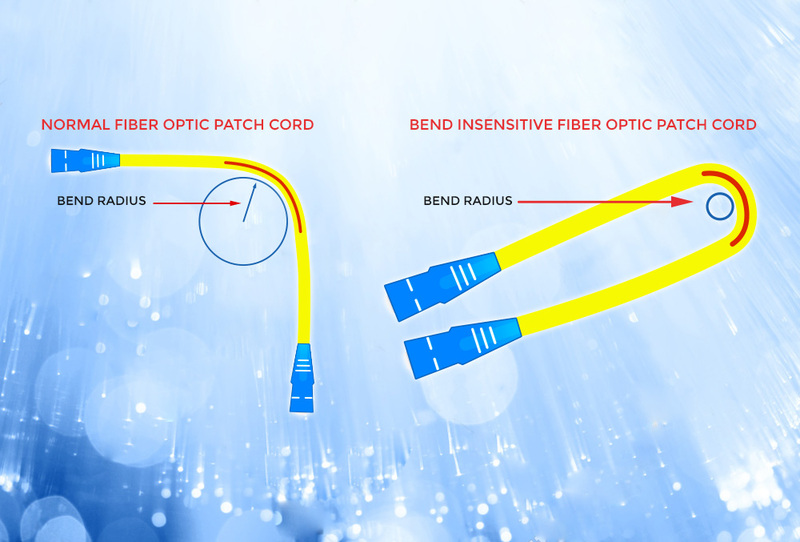 To help avoid fiber loss or an increase of it, Fiber Optic patch cord is used to connect the optical transmitter that permits transmission of optic signals with no or little loss over great distances. Fiber Optic patch cord is commonly used in Data Centers for the last 15-20 years, which is still commonly applied when installing Fiber to the Home (FTTH). Nowadays, fiber optic patch cord comes in 2 kinds: the traditional fiber optic patch cord and the bend-insensitive fiber optic patch cord. Traditional fiber optic patch cord has limited bend radius before it will affect the single (macro bend). Bend-insensitive fiber patch cord has a much smaller bend radius, as much as 10-15 times smaller than that of the traditional. This is a huge benefit for Data Centers and Fiber to the Home (FTTH) installations, since we can now run the fiber patch cord in server racks or sharp corners, especially in private residences. This will eliminate macro bend’s critical impact Internet signal, causing it to slow down or have no connection at all, which is the worst thing that can happen. Multi Mode Fiber patch cords’ bend insensitive version is called (BIMMF) Bend-Insensitive Multi Mode Fiber. Single Mode Fiber patch cord version is called ITU G.657. Bend-Insensitive Fiber does not only come in patch cord, but is also popularly used for riser or trunk cable, outdoor aerial, and underground cable. The greatest benefit of Bend-Insensitive fiber optic compared to the older generation of fiber optic standard is it has been proven to have no impact in fiber loss – not even a single loss. So, when preparing for fiber optic installation, it’s best to use Bend-Insensitive Fiber Optic Patch Cord.